With the Olympics fast approaching, Paralympics athletes are gearing up for events in London that will begin in the Summer of 2012. 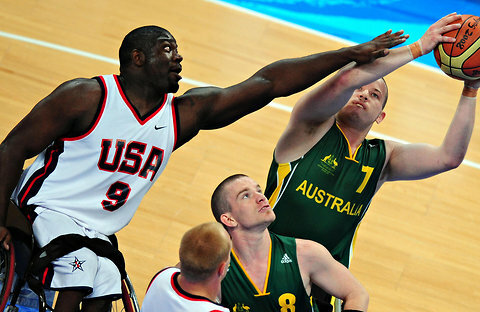 New York Times columnist Vincent Mallozzi interviews Matt Scott, a wheelchair basketball player from the USA team on his hopes and goals for the 2012 games. The Columbus Museum of Art now offers a newly designed tour of the museum's main galleries for individuals with Alzheimer’s and other dementias. Sparking Imaginations is a collaborative effort by the Columbus Museum of Art, the Alzheimer’s Association of Central Ohio, The Ohio State University, and Abbott Nutrition. The Sparking Imaginations Program delivers one-hour tours led by specially trained docents for people with Alzheimer’s and other dementias. The tours, offered monthly, are limited to six people with Alzheimer’s accompanied by their caregivers.